When building forms many choose to use Bootstrap forms, taking what you need from it and then adjusting it to fit into your build. This is a common task when building apps and a boring one. In Vue.js for many common needs there are many ready-to-use components and packages, created by the Vue team or the community. 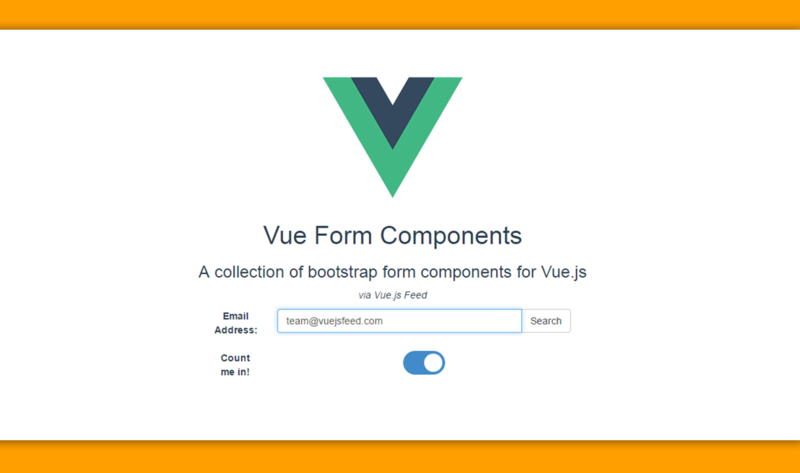 The Vue Form Components package provides form wrappers to use in your project, based on Bootstrap. Using yarn is often time saving. Two components have been declared, the Standard input box component, designed to save time and repetition by not having to duplicate form groups and Toggle Switch component which displays a nice alternative to a standard checkbox. The name prop is required for the input-box component and so for the toggle-switch along with label, so make sure to include those. This small collection of bootstrap components, can prove handy for building multiple forms quickly. Visit Vue-Form-Components on GitHub for more.